LEM Management LTD., distributes third party Global Investment Houses and Funds to Israeli institutions, corporations and HNW individuals. We consider ourselves as the primary link between global houses seeking to raise money in Israel and local investors aiming to pursue global exposure. LEM Management offers its clients innovative products and financial opportunities that demonstrate competitive investment performance. Providing tier one products in fixed income, equity and alternative asset classes; in Global, European and US markets, as well as emerging markets and markets of specific countries. Our main goal is to establish long-term relationships for our local investors and the global investment houses we represent. Our clients include; provident and pension funds, Banks-nostro, family offices, corporate clients and HNW Individuals. Saar Levi has over 15 years’ experience in trading and sales activities in global financial markets. Saar spent the majority of his career in New York, working for leading financial institutions such as Lehman Brothers, Barclays Capital and Intesa Sanpaolo/Banca IMI Securities Corp, in various executive positions and responsibilities. He has initiated and ran Lehman propriety ETF strategies, as well as, establishing and managing Banca IMI US ETF business. Later, Saar was recruited as the CEO of a global exchange located in Luxembourg. 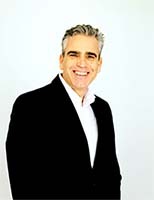 Saar returned to Israel in 2011 and established LEM Management LTD, with the goal of bringing together local money managers and expert global fund managers.